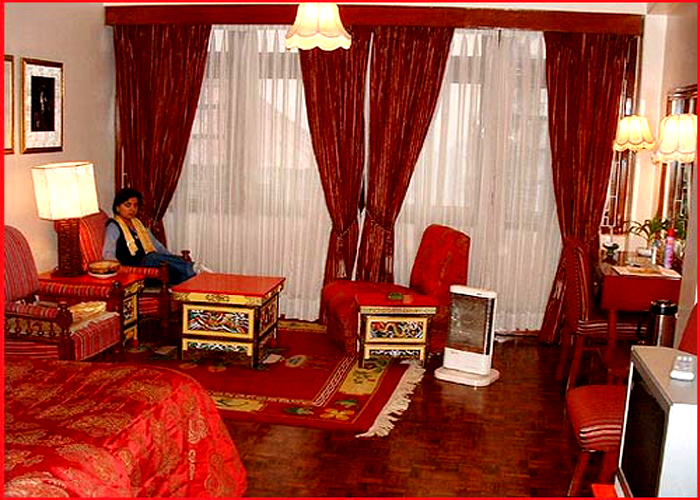 Accomodation : Each of the 32 rooms in Hotel Nor Khill, Gangtok are tastefully done with vivid colors and period furniture accentuating the heritage value of the hotel. From the Dalai Lama to the U.S Ambassador to India all have stayed in this hotel and appreciated the décor and heritage value of the rooms. 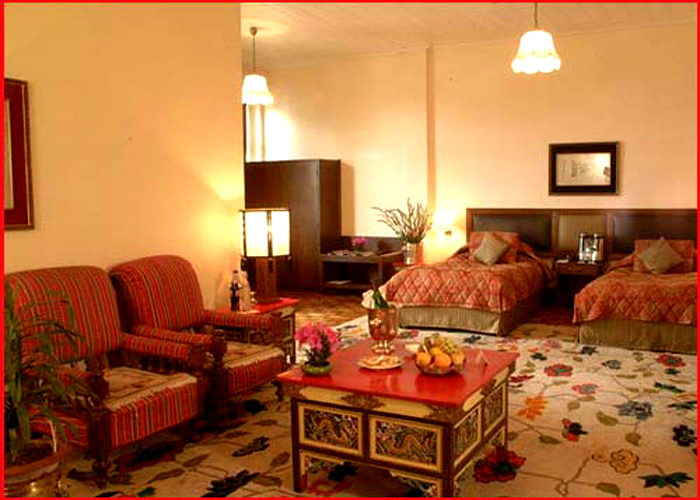 Each of the rooms overlooks the Himalayan range with its snow clad hills. Hospitality is a watchword with this hotel. 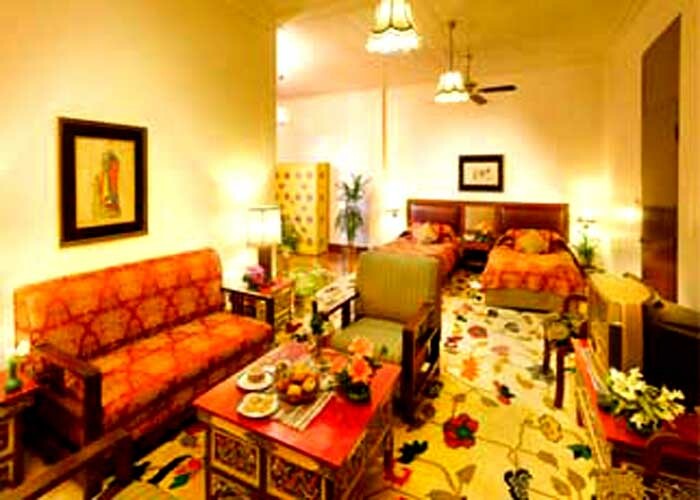 The rooms are also equipped with the modern amenities. Amenities : * Attached private bath with showers. 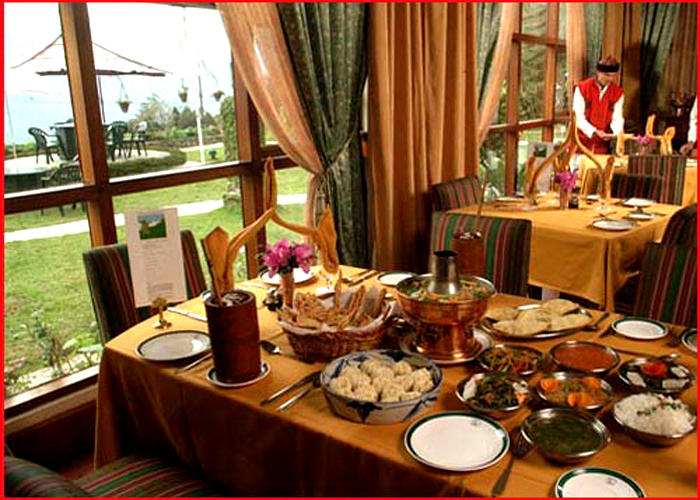 Dining : Shangri la is the in house restaurant of Hotel Nor Khill, Gangtok offering you the choicest of Indian, Continental and Tibetan fares. The Dragon Bar rest in one corner of the hotel and is a good place to exchange greetings with friends. 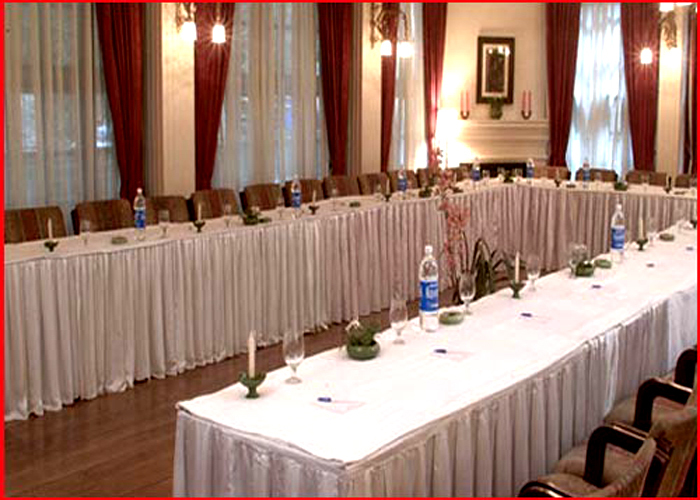 Business & Conference : A well equipped conference room in Hotel Nor Khill, Gangtok takes care of the business proceedings. It is fitted with the latest automation technology. Business services are available including secretarial services, photo copier and fax machine. 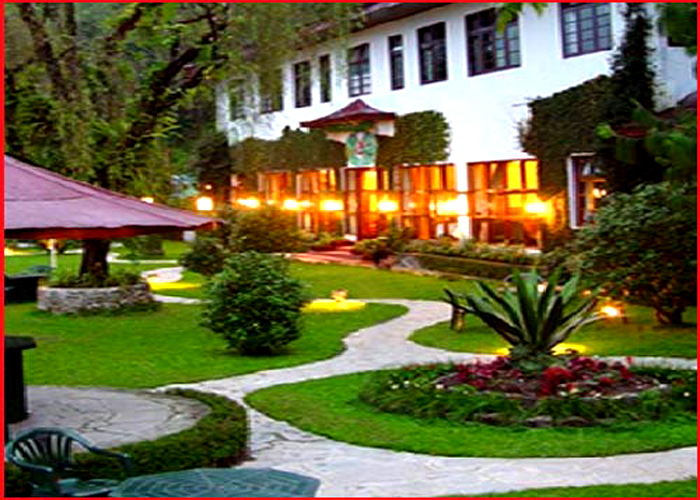 Hotel Nor Khill, Gangtok is one of the best heritage properties in Gangtok. Due to its ethnic Sikkimese ambience, panoramic view, tailor made services, it has gained the popularity of being the best hotel in Gangtok. 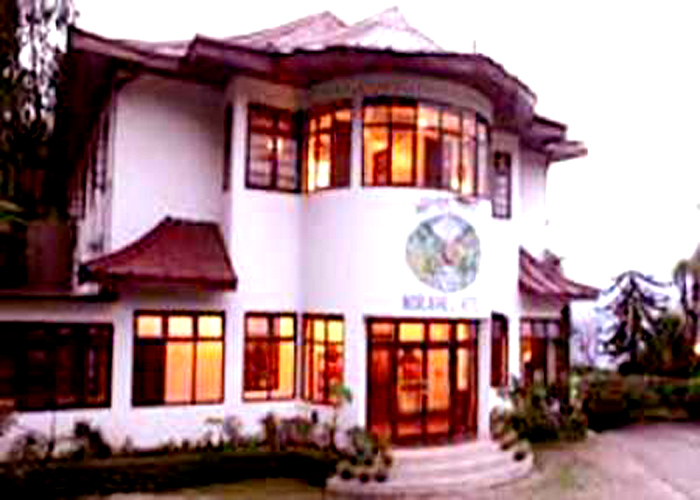 The house of Jewels as it is known in common Sikkimese parlance, was constructed by the King of Sikkim in 1932. This place served to entertain all the head of dignitaries and important personalities. So to say even the Dalai Lama stayed here for a short span of time. 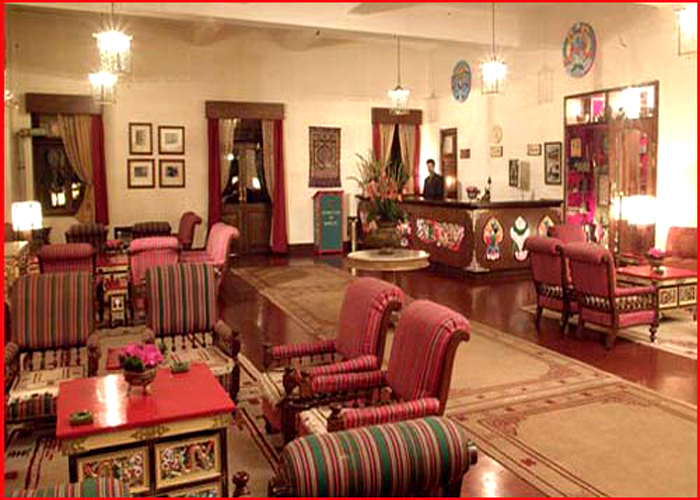 Now this 4800 square feet of sprawling palace has been remodeled into a heritage hotel.